Grab your bikes, trikes, boards, skates, and scooters and ride on down to the grand opening of Provo’s Lakeview Parkway! The new westside connector is about to open and to celebrate we’re hosting a non-motorized All-Wheels Festival! This is the perfect opportunity to enjoy the open road and take advantage of the brand new corridor. Pedal on over to 1100 West and 1560 South on Wednesday, October 12 from 5:00 – 7:00 pm for a once-in-a-lifetime event! Grant opening celebration with giant inflatable arch, candy cannon shooting off delicious treats, countdown from the crowd, and an official ribbon cutting. 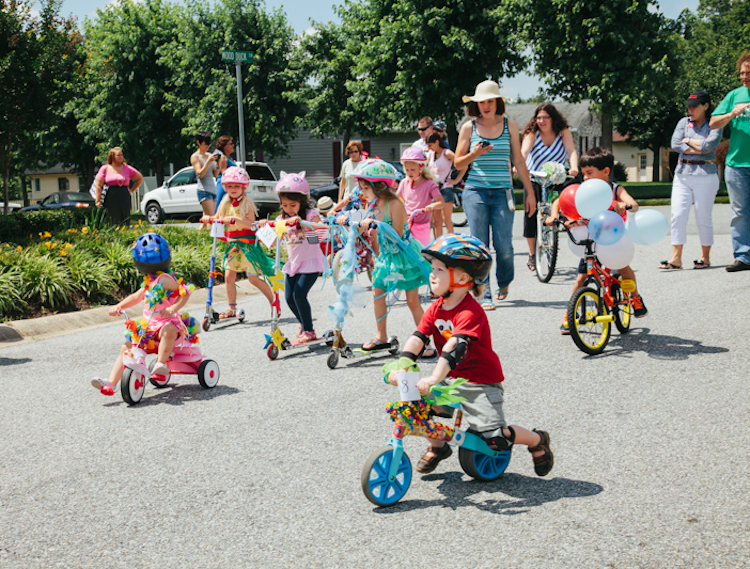 Decorate your ride contest with prizes forthe most creative, craziest, cutest, and best decorated forms of transportation. Free hot chocolate for the first 200 riders. Food truck round-up… so come hungry! Bounce house madness with a Challenge Obstacle Course, 25-foot Dual Lane Mega Slide, and Castle Bounce House. Free bike tune-ups and registration. Everest Bike Repair, Provo’s newest bike repair shop will be offering free bike tune-ups to anyone who brings their bicycle to the event. Provo City will be offering free bicycle licensing (to help track down your bicycle should it get lost or stolen). Whatever you ride, you won’t want to miss this massive Provo celebration. Find out more details on the Mayor’s blog and on the official Facebook event. This entry was posted in Bike Advocacy, Bike Paths by Jamie. Bookmark the permalink.